Learning to use the spine correctly allows us to rid ourselves of many physical and mental problems. It is because every organ in the body is directly or indirectly connected to the spine. Bone health is also extremely important. When bone cells get stimulated by being twisted or elongated, they produce more bone mass. It makes the bone stronger and more resistant. Yoga for the spine helps in the growth of bone mass, but since it is moving the bones in all possible directions, it also improves its structure and makes it able to resist bigger and stronger pressure. The spine should be lengthened to work correctly, since if it is shortened, unnecessary strain is put on limbs and organs. Also, the neck should always be free of muscle tension. If the neck holds a lot of stress, it may spread throughout the spine and later the whole body. Maharishi Swami Dev Murti saw this and created 12 courses of 12 spinal exercises. These can be performed with cold muscles. Best would be two times a day. They are designed not only to improve the spine but also to work the nervous system and blood circulation. They also help with digestion and other functions of the internal organs. 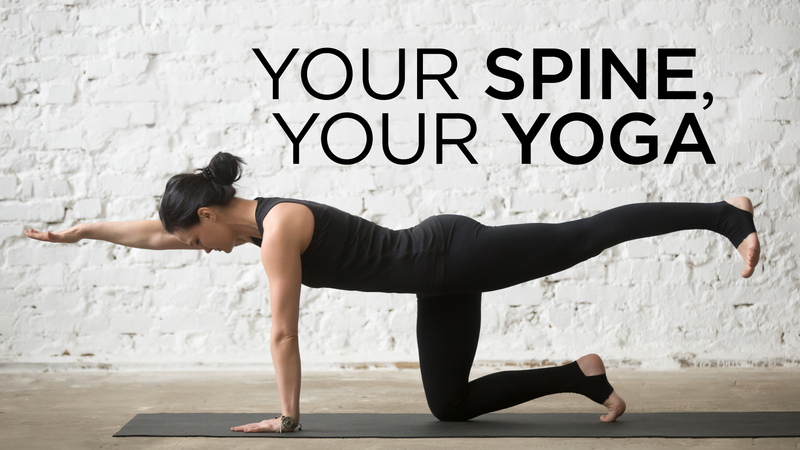 The spine twisting exercises strengthen the deepest muscles of the back – the muscles between the vertebras, enhance the structure of bone and improve its flexibility. The best breathing technique with these exercises is that you inhale in the beginning position and exhale while twisting. You start to inhale again while returning to the starting position. Breathe with your mouth closed; through the nose. Don’t hold your breath. Don’t strain the spine, do as much as possible. From all the 12 courses of exercises, there is one exercise which you should try to do daily, best when you wake up and when you go back to bed in the evening. Lie on your back and stretch the arms out at shoulder level. Bend your legs, so your feet are about a foot away from your buttocks and each other. Turn the knees to the left so that the left knee is touching the ground and the right knee is touching the left heel. At the same time turn your head to the right. Moving with breath, turn to the other side. Repeat this four to five times on each side. When you’ve finished, put your legs back in the center. Join them together and place your feet as close as you can to your buttocks. Turn your legs to the left and your head to the right. Your legs should stay joined the entire time, with feet touching. Do this exercise four to five times. In the same position, join the knees and draw them towards your chest. Then turn them to the left and your head to the right. It is possible that your knees will not be touching the ground while twisting; this is normal. Repeat on the other side, four to five times on each side. Beginning your own yoga practice doesn’t require much in the way of additional items. Unlike weightlifting or joining a football team, the various pieces of equipment necessary for any practice need a minimal investment of space and money. For those who are interested in getting started with a yogic lifestyle, it’s important to weed through the items available for purchase at a sporting goods store to determine what is essential for your practice. Your yoga mat is one of the critical pieces that no yogi can genuinely be without. It separates you from the floor during seated poses and reclined postures. It allows you to practice anywhere at any time, with only a few flicks of the wrist to roll out the mat. Not only does it offer some protection and hygiene during your workout, but your yoga mat also serves to provide safety. For example, a well-made yoga mat will provide excellent grip to prevent your hands and feet from slipping as you move through various poses. Even during a rigorous practice, the grip of your mat should be able to keep you from sliding further than necessary to put your body into alignment. The padding of the mat also protects your knees and tailbone in certain positions, such as the staff pose or the pigeon pose. Yoga blocks and a strap both allow yogis to modify poses to a more comfortable position until they gain the flexibility to perform the full posture. It is especially crucial for new yogis who may not have the looseness in their muscles to move into a pose with correct alignment. A yoga block allows yogis to prop themselves up in their standing poses, while a strap will enable them to move into deeper stretches. Putting on the appropriate type of workout clothing for your practice isn’t often mentioned when it comes to the necessary equipment for beginners. However, you need to ensure that you’re appropriately outfitted to move through your sequence. Tops should provide excellent coverage without being too tight to allow you to breathe freely. The breath is a critical aspect of well-rounded yoga practice so nothing should hinder you from enjoying it freely. Yogis love workout leggings of all varieties for their practice. The thinner spandex fabric allows them to remain cool while still offering them plenty of space to move comfortably. They are versatile enough to wear year-round and match most of the other items already found in your closet. 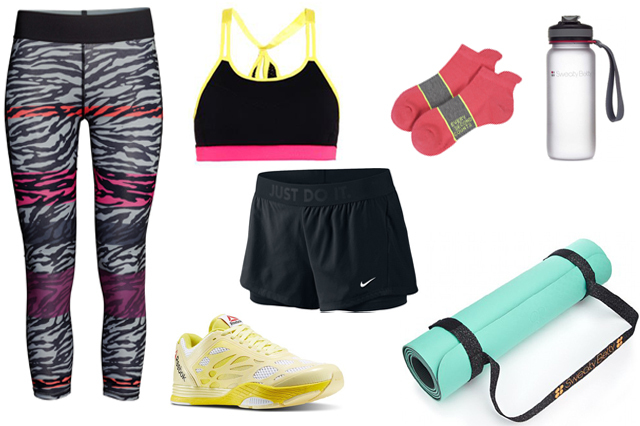 Other popular options for yoga athleisure apparel include compression pants, yoga pants, and Capri leggings. After all of the proper tangible items have been acquired, the most important thing to bring to your mat is the right mindset. Begin your practice with a feeling of love and compassion toward yourself, focusing on what your body needs at this moment. An open heart and mind to enjoy the practice is an absolute necessity to move further into the yoga lifestyle. Choosing a mat can be daunting if you are new to yoga. Mats can range in price, and you want to be sure to find the one that is right for you and your practice. Living in a consumer society, however, can tend to shape what we consider the “best” product to be. Remember that yoga is about your mind, your body, and your soul. Instead of being influenced by advertising, brand name or price, use these three aspects—color, thickness, and design—to find the mat that suits your unique yoga needs. Don’t pick a mat whose color you find icky just because it is on sale or from a reputable brand. Each of us has a unique relationship with color based on our past experiences and independently developed associations. Find a mat in a color that stimulates positive energy in your soul. Also, take into account that different colors provoke different energies. Do you prefer a yoga practice that makes you energized? Perhaps, choose an orange or yellow hue. 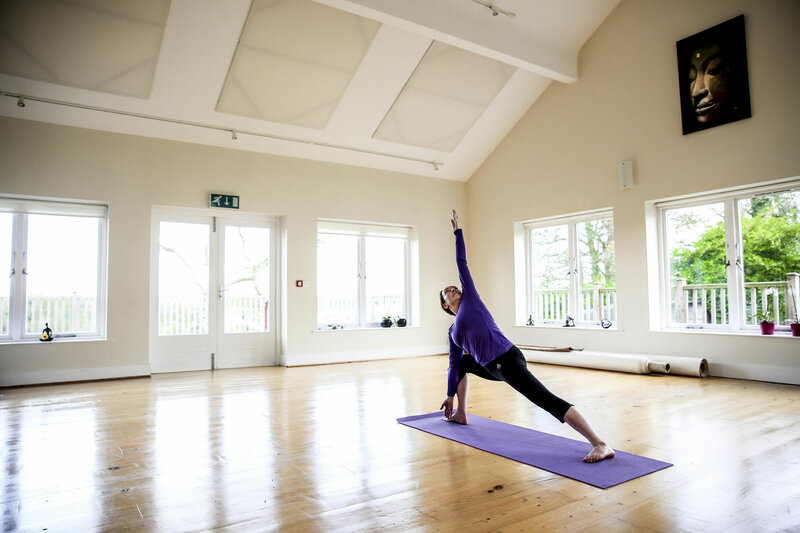 Do you prefer a yoga practice that makes you feel calm and tranquil? Perhaps, a smoky blue or green is what you need. Be sure to consider how you want your practice to make you feel and which color palettes can assist in that. Only you have the wisdom of what will work best. Mats can range in thickness, and often, we make the mistake of assuming that a thicker mat is a better-quality mat. While some individuals with weakened knee and wrist joints may require a thicker mat throughout their entire practice, others may be better off using a blanket for specific poses that require additional support. For yogis who consistently struggle with balance, remember that a thicker mat may sacrifice some of the stability you need to excel in balance poses. The key here is to consider your particular needs and choose a mat with corresponding thickness. Several mats feature beautiful designs on them—geometric forms, hypnotizing patterns, and charming illustrations. Consider whether a mat with a design will bring a sense of harmony to your practice or pose as a distraction. If you determine that a design is right for you, choose one that matches your spirit, as it can stand as an expression of self and help fuel your inner development throughout your yoga journey. Some mats even feature instructional diagrams that illustrate proper body alignment for a handful of poses. This can be a helpful tool for some who need a little extra visual reminder when getting into a pose. Again, consider your needs to help decide if a design will propel your practice, and if so, what sort of design. As always, remember the aim of your yoga practice—uniting mind, body, and spirit. Honor your mind, body, and spirit accordingly, and choose a mat that will serve you best in the development of your yoga journey. There was a time when organic food was the most important source of nutrition for man. As time went by and the world became fast, our food also changed. Today, ‘fast’ and processed food is the most common way of satisfying our needs. Yet, we must understand that without natural foods, our bodies become a hub of potential diseases and toxins. The ‘balance’ of life is disturbed. So, what is balance? We learnt in chemistry class about the importance of pH. Our bodies react to the food we eat and the environment created is either acidic or alkaline. An acidic environment is created by animal products and processed, sugary and fast foods whereas an alkaline environment is provided by foods such as fruits and vegetables. It is essential to balance the treated food we eat by countering it with fruits and vegetable, otherwise the body becomes prone to illness by being in a condition where too much acid accumulates in the body. Therefore it is not a surprise that fruits and vegetable are super-foods that aid in fighting several important ailments. Diseases such as heart disease, cancers, high cholesterol, high blood pressure are a few of those risks that can be prevented and fought with fruits and vegetables. This food type encompasses vitamins, minerals, fiber, and phytochemicals which help in fighting disease. In addition to fighting and preventing diseases, fruits and vegetable are important for weight management. Obesity is the cause of many diseases and it is becoming increasingly important to maintain an equilibrium in our lives by countering high calorie foods with low calorie and high fiber foods. It is much easier to control weight with snacking on fruits or vegetables when one is hungry. Also, including a portion of fruits and vegetables as a part of your plate makes for a healthier and more beneficial meal. Check out this interesting video about a workshop that teaches yoga lovers not only what to eat, but also how to eat. in this age. Therefore, It is recommended to consume a minimum of 400g of fruits and vegetables a day to keep heart disease and serious health related risks at par. After all, an apple a day keeps the doctor away. And so does a carrot probably? Thanks for reading!